Patrick brings a balance of artistic, technical, and humanitarian experience to the world of travel and documentary photography. He started his journey as a mechanical engineer, followed by a 30 year computer science and executive management career in major corporations such Apple, eBay, and PayPal. In parallel, Patrick developed his passion to engage with the cultures of the world and joined GlobalRoots (a Portland-based NGO) to craft and run projects in the neediest areas. He focuses on complex social issues such as early marriage, slavery and malnutrition. Throughout his projects, he diligently documents challenges and progress with photo, video and storytelling tools, bringing visibility to social cases and innovations which aim at improving underserved people’s living conditions. He is published for his work in the humanitarian field with 9+ years active participation in development organizations (Global Roots, Human Rights Advocacy, Lake Clinic among some. 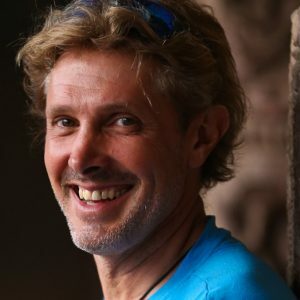 Patrick learned to approach people and situations, craft stories, and navigate with field experience off the beaten path in remote areas, war-zones like Afghanistan or post-earthquake areas like China/Sishuan and Nepal. This allows him to problem-solve, negotiate and get people to collaborate. He improved his skills with assignments and workshops working with seasoned photographers (Garry Knight, James Nachtwey, Blenkinsop, and David Allan Harvey.) He is an early adopter of new technologies and practices which help improve his craft. He has expertise in aerial videography and seldom travels without his mini-drone in his backpack along with his DSLRs and stabilized cameras. To keep a healthy mind and a healthy body, Patrick practices Yoga and mindfulness, and is a trained aerial yoga coach.